Considered a gift from the angels. It’s a perfect stone to use to contact and communicate with the angels and spiritual guides to receive information for yourself and others. 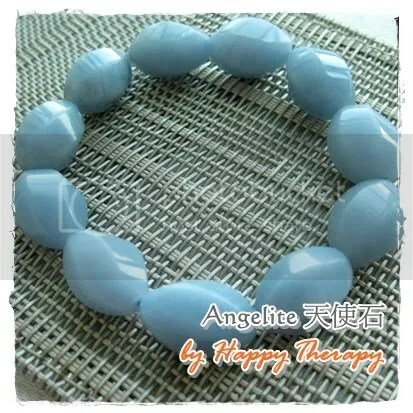 Angelite is a stone of heightened awareness, with special focus on peace and brotherhood. It gives protection in the environment around your body. Good for dream work and their meanings. Considered a third-eye and crown Chakra stone. It is an excellent choice to help smooth your emotional body. Excellent at balancing, polarizing and aligning the physical body with the Aura. Helps self expression, communication and allows us to speak our mind and become more assertive. Increases telepathy & enhances astrological understanding. 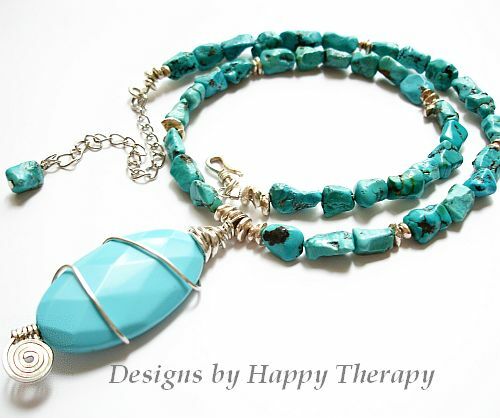 All the Happy Therapy‘s unique jewelry is handmade with top quality gemstones and components and is designed to give you years of pleasure.